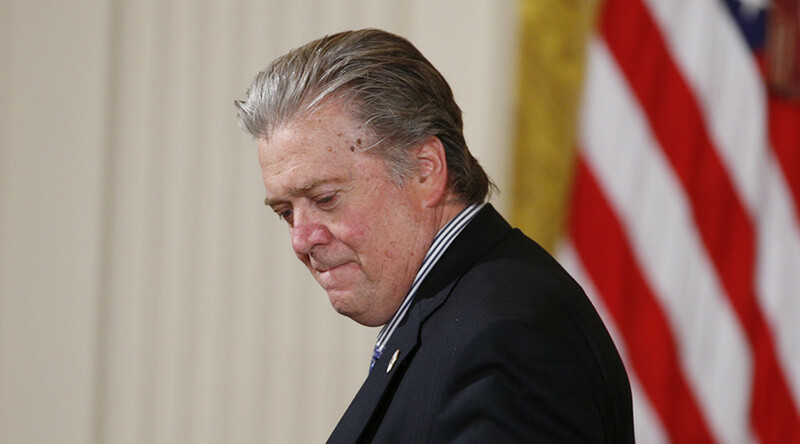 Donald Trump’s ex-chief strategist, Steve Bannon, has turned his gaze to European politics. He will address France’s right-wing National Front and meet its leader Marine Le Pen after similar meetings in Italy and Switzerland. 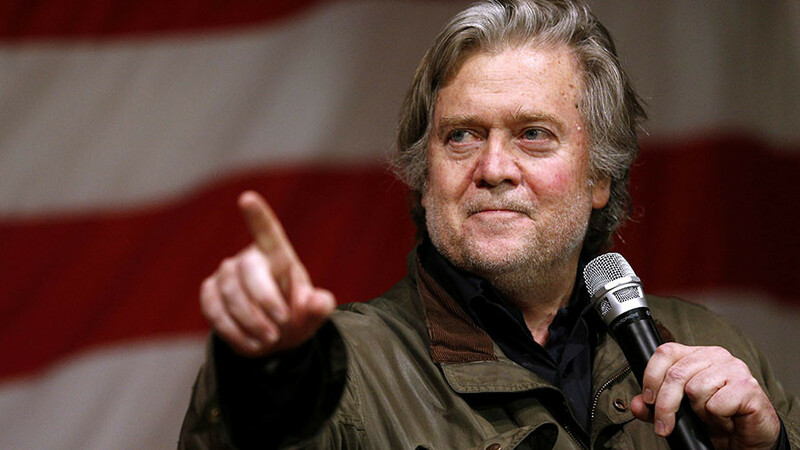 Bannon, who served as US President Trump’s strategist for seven months before the relationship deteriorated, crossed the Atlantic to embark upon a tour of Europe’s right-wing parties. 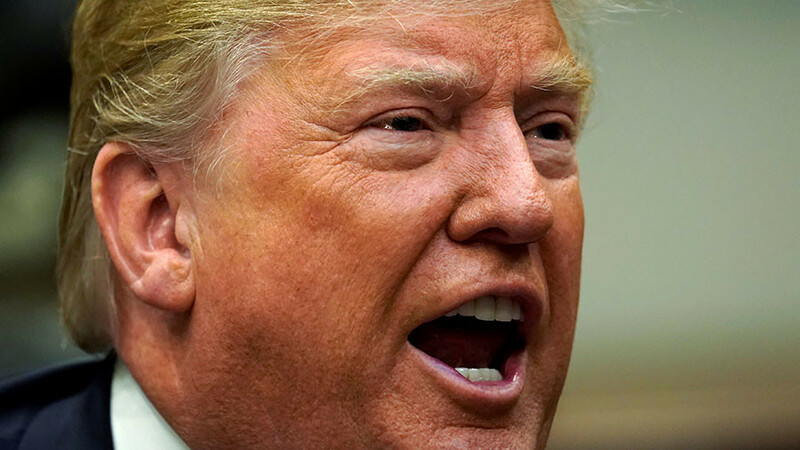 He is to meet with the leader of France’s right-wing National Front (FN) Marine Le Pen, and address the party’s congress in Lille on Saturday. “Welcome to Steve Bannon who will address the FN tomorrow at our congress and will meet ML [Marine Le Pen]. The people are waking up and taking their destiny in hand,” National Front Deputy President Louis Aliot tweeted on Friday. Bannon’s appearance at the National Front congress comes as Le Pen aims to revive the party, nine months after she was defeated by centrist Emmanuel Macron in the presidential election. She will announce a proposed new name for the party on Sunday. Bannon’s visit to France is the third stop on his European tour. On Tuesday, Bannon spoke with Alice Weidel, leader of the right-wing Alternative for Germany (AfD) party. 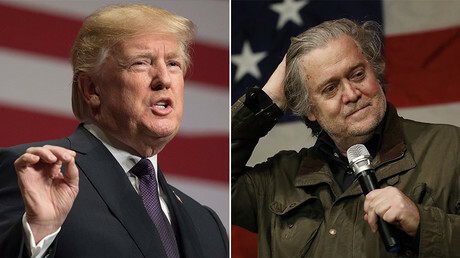 The two met in Zurich, where Bannon was speaking at a sold-out event about “the populist revolts and their global consequences [sic] for Switzerland, Europe, and America,” according to the DPA news agency. His remarks also included a crusade against “limousine liberals” and “the Clinton mafia,” Politico reported. The talk was hosted by the conservative Swiss weekly Weltwoche. 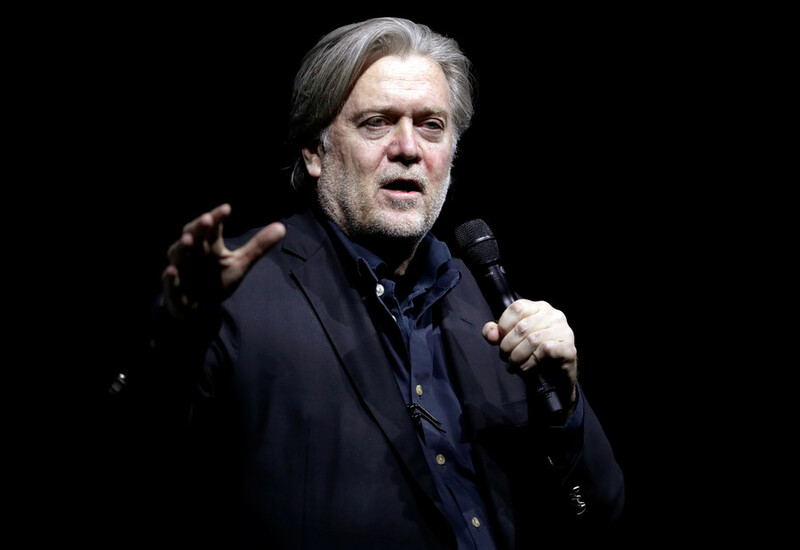 Weidel’s office said that Bannon, the former executive chairman of conservative news website Breitbart, could offer expertise in the areas of political strategy and alternative media channels. 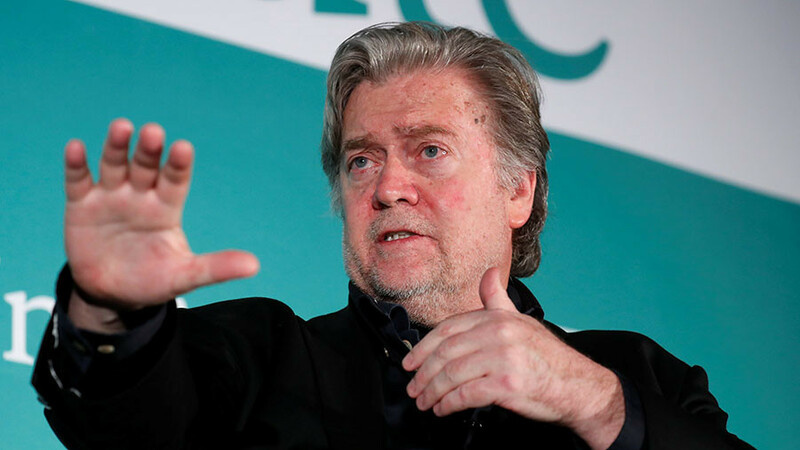 That meeting came after Bannon flew to Italy ahead of last Sunday’s national election, lending his support to anti-establishment and populist parties. 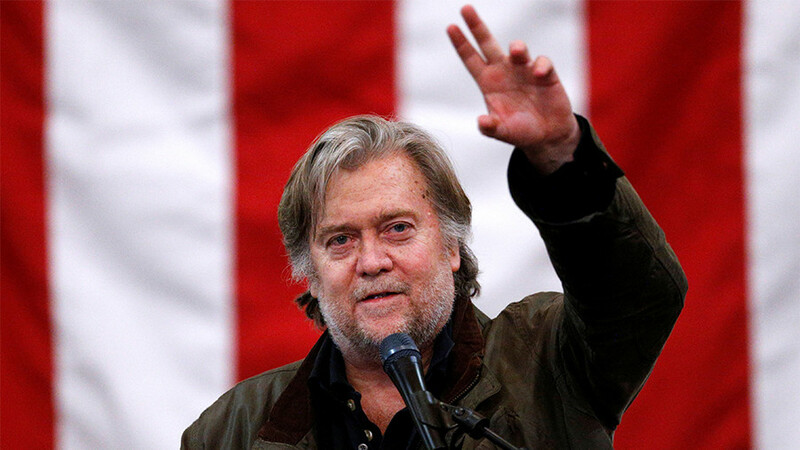 The result, which saw the anti-establishment Five Star Movement (M5S) and the right-wing Lega party emerge victorious, were pleasing to Bannon, who called it an “earthquake” for Europe.